Several photographs purporting to be of genuine black lions (i.e. 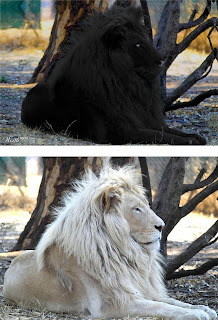 melanistic specimens) are presently doing the rounds on the internet, but as I exclusively revealed on ShukerNature quite some time ago (click here and here) they are all fakes, digitally produced from existing photos of normal lions or, in one instance, of a real white lion. 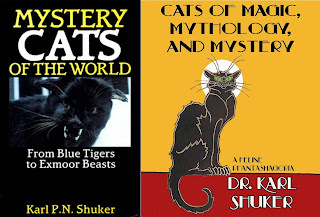 Recently, however, I encountered online a black lion photo that I had not previously seen (and which opens this present ShukerNature blog article). 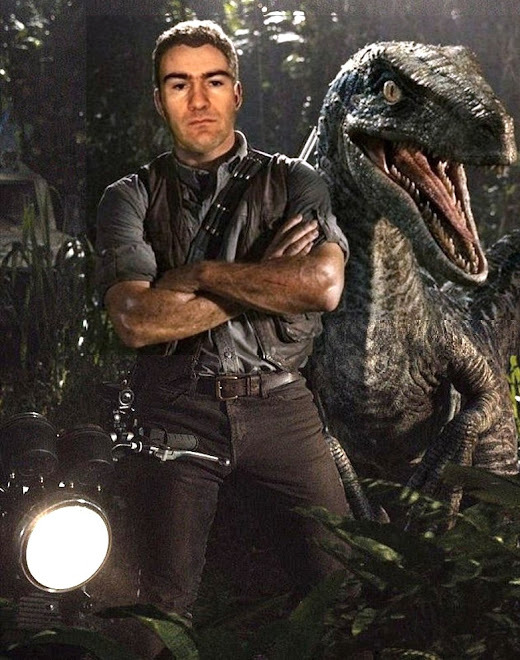 So, just like before, I duly investigated it – and indeed, just like before, it duly turned out to be yet another photoshopped creation. Using Google Image, I swiftly discovered that this photograph appeared in a sizeable number of websites, but in some of them the photo contained a small yet very telling inscription tucked away within its bottom left-hand corner – Worth1000.com – and, immediately, all became clear. For until it was incorporated within DesignCrowd.com's site, Worth1000.com had been a website long famous for its thematically-based competitions to produce first-class digitally-created images. The inscription present in this black lion photograph thereby confirmed that the latter image had been produced specifically for entering in one such competition, and therefore with no intention by its creator to deceive anyone. Unfortunately however, it has since been erroneously assumed by some websites to be a genuine photo of a genuine black lion. The competition in question was entitled 'Color Blind 14' (click here to see all of the entries), and the username of the entrant who submitted this black lion photo was Bridges - my grateful thanks to Twitter colleague AI M for kindly supplying me with this information. Another 'black lion photo' case duly solved. 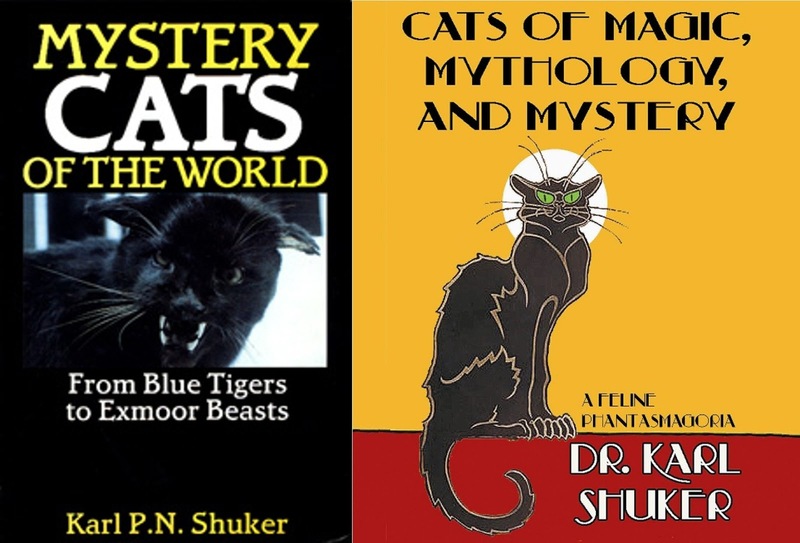 More details concerning purported black lions, as well as white lions, spotted lions, striped lions, green lions, horned lions, winged lions, lion hybrids, and many other leonine anomalies, can be found in my books Mystery Cats of the World and Cats of Magic, Mythology, and Mystery. And to read a poem of mine inspired by the concept of a black lion, click here. I suspect that white lion photos may be used as the basis for the black lions, as the white colour and the tones will make the photoshooting process easier - especially if a colour changing "brush" is used! 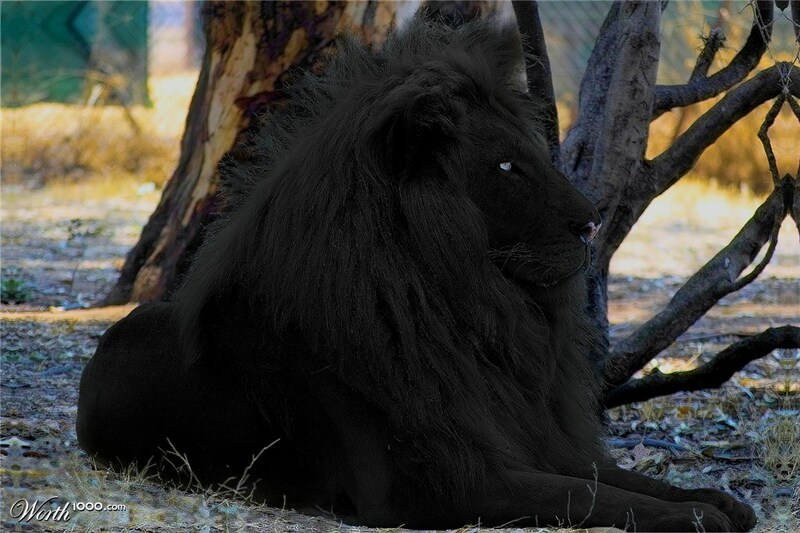 There was also one I seen posted of a black lion standing in a field. It took some searching but I found the original image of it which of course, was just a normal lion (though nice enough that I kept the pic as a background image). It seems to be fairly common for people to see what sort of lies they can get away with.